The ghost of a headless nun and disembodied screams. On this episode of BuzzFeed Unsolved, Ryan and Shane investigate Colchester Castle. 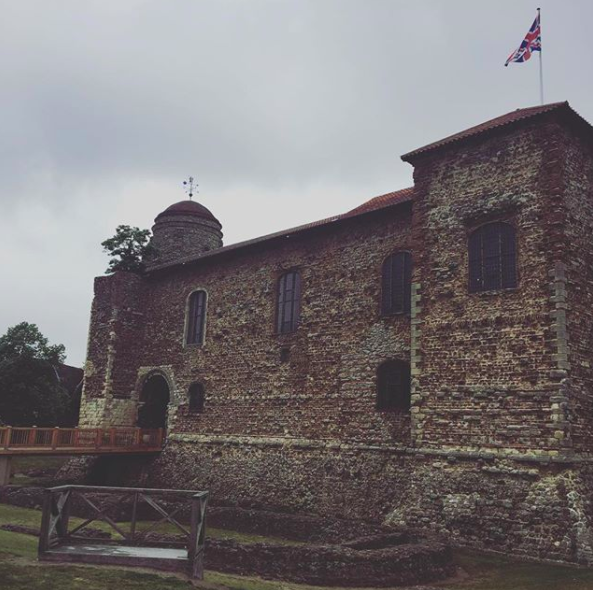 Colchester Castle was originally built to protect against Scandinavian attacks from the sea, and to assert power over the surrounding land. In the 1200s, it was used as a prison, sometimes to hold prisoners of war. The conditions were said to be remarkably poor. There are many claims of paranormal activity at the castle, and a number of explanations for them. There are reported sightings of soldiers looming around the castle. Perhaps they're the souls of Royalist soldiers who fell during battle. People have also reported seeing the ghost of a headless nun, and hearing disembodied cries. Part of the castle used to function as a chapel, so perhaps that’s where the nun may've come from. Some of the castle’s supposed ghosts come from more specific, detailed incidents. For example, a man named James Parnell was praying in the castle, when an altercation broke out. Parnell was accused of blasphemy and charged 40 pounds, but he refused to pay, so he was imprisoned in one of the castle's dungeons. During Parnell’s prison time, his jailer would make him climb a rope to reach the small amounts of food they offered him. He had a fall during this routine, and died in April of 1656. Parnell was buried inside of the castle. It’s said that James Parnell haunts the castle’s dungeon, so Ryan and Shane tried to contact him using a spirit box. Whether or not the spirit box picked anything up is debatable. Also contributing to the castle’s eeriness — Essex, the county where Colchester is located, saw more witches executed than in any other UK county. Between 1645-1647 it was used to imprison over 200 accused women suspected of being witches. Many perished from “jail fever” while imprisoned at the castle, most before going to trial. Another unexplained incident at the castle occurred when a man decided to spend a night locked in the castle for a bet. After two hours, he was spotted yelling and waving from the roof of the castle. The man was taken to the hospital and sedated, and reportedly passed away a few months later without ever regaining sanity. While there wasn’t any actual video evidence of a headless nun or James Parnell’s ghost, Ryan and Shane might’ve picked up some responses on the spirit box. Shane was more skeptical than Ryan about potential spirits in the vicinity, but whether or not Colchester Castle is definitively haunted remains unsolved. We investigate our first haunted castle! The historic Norman Castle, Colchester, Essex, England, UK.